Dove Skin Care has done it again. 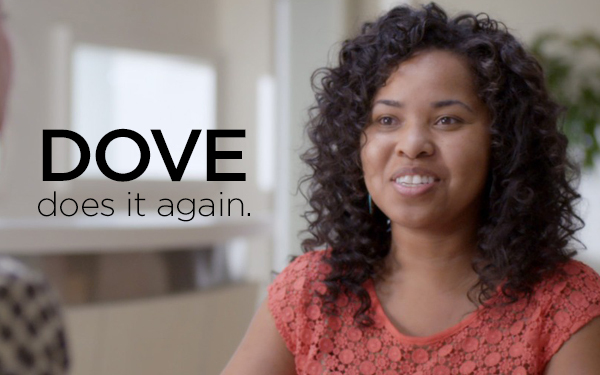 In Dove’s latest campaign they are still confronting the issue of beauty perception. They asked four women to test a potential new product called RB-X—a patch that chemically enhances the way you see your natural beauty. The patch is worn directly on the arm for 12-hour increments for two weeks. Along with wearing the patch, the women were to create a video diary and mention any changes they sensed throughout the course of the process. Watching their reactions was definitely empowering. Hundreds of articles and photos are distributed each year on beauty trends, diets, workout regimens and beauty perception, so it’s no wonder women have so many issues surrounding this controversial topic. Research shows that even girls as young as six have body image issues. Last year, Dove released a YouTube video discussing the same issue of beauty perception. They created a social experiment where a retired forensic sketcher drew two sketches of each participant. One was drawn from the woman’s description of herself and the second was drawn from a description from someone else. It was amazing to see the difference between the two sketches and how critical we can be of ourselves. I think Dove’s Real Beauty Campaign is amazing. It helps put things in perspective for women all over the world. What do you think of their latest social experiment? Do you think it’s empowering? Leave us a comment.